The testing season is upon us. Georgia Milestones and other end of year assessments are just around the corner, breathing down our necks. 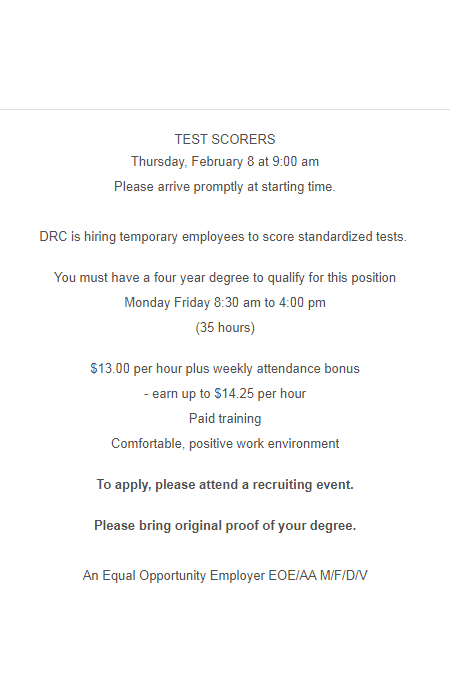 For further proof of that, testing conglomerate, Data Recognition Corporation (DRC), is hiring test scorers. I was curious as to what is required to become a test scorer.